The cost of feed is the single biggest expense that dairy farmers incur when they produce milk. But numerous studies have shown that feeding greater percentages of high quality forages allows producers to increase their profits by lowering their feed costs — without impacting the quantity and quality of their milk production. However, it takes a commitment to producing top quality forages to be successful. Dave, Carl, and Ben Loewith, with Summitholm Holsteins, near Lynden, Ontario, have raised their forage content from 57% to 63%. They’ve found it’s producing significant savings for their 460 milking cows operation without impacting their milk production. Growing quality forages begins with good plant nutrition, Loewith says. One thing forages and dairy calves have in common is the better you feed them the faster and healthier they grow. 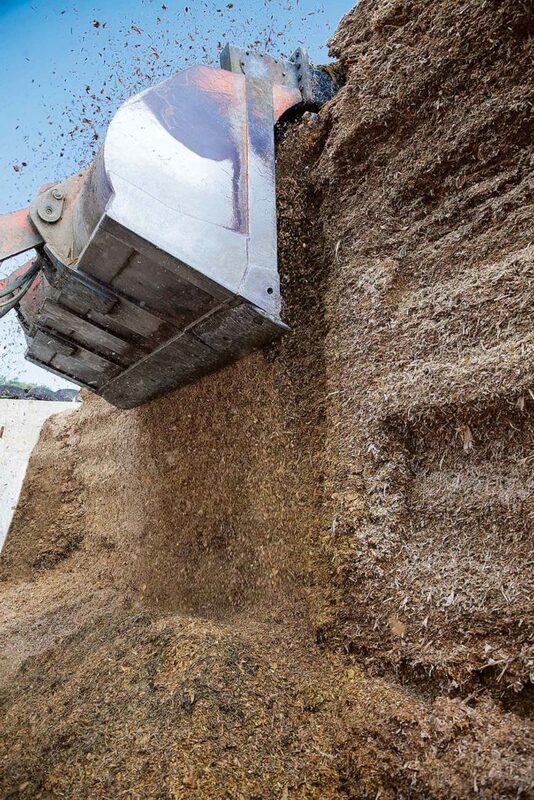 The Loewiths use a facer/defacer to remove silage from the feed bunk without creating fissures. The first point of impact, Sherman says, is to stimulate the biology around the root zone to help bring cations into the plant. The next, for corn, would be in-furrow starter fertilizer containing a macro and micronutrient blend and a 2 by 2 application of higher volumes of macronutrients. Then, as the season progresses, add a foliar application on corn, alfalfa, or small grains and a side dress application on corn. The Loewiths focus their attention on their core business activities, producing milk. They hire custom contractors to do the field work—planting, harvesting their haylage and silage crops, and spreading their manure. They have a longstanding relationship with their custom contractor to put up both their alfalfa/meadow fescue haylage and their corn silage, Loewith says. He brings in enough equipment that they can do hay-in-a-day. They’ll typically start cutting around 3:00 or 4 a.m. and lay it completely flat. Then around 3 to 4 p.m. they’ll merge it all together and start to chop it at 5 p.m. They’ll put up between 100 and 150 acres by midnight. This is repeated until all their haylage acres are in the silo; their corn silage harvest is finished in two or three days. Other advantages are that they are in and out of the field so quickly that there is very little opportunity for re-growth before they chop it. This eliminates windrow or tire tracks in subsequent cuts and gives them a bigger window to apply manure. Feed bunks are packed and sealed quickly and not left open to the air for days.